The pase of development and innovation is continuously increasing in every field of our lives. More products and services are becoming digital, and our world becomes more and more technological. Alongside significant advancements, there are a lot of areas that need improvement and the way to accessibility is still long and challenging. 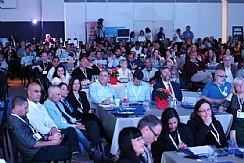 1000 people attended the Conference, among whom were accessibility and technology professionals as well as representatives of companies, organizations, local authorities, government ministries and others. Many companies, like Mobileye, OrCam, Robots For All and others exhibited their latest developments in the conference ample presenters' area. A cinema complex, with dubbing technology, audio amplification and a vocal account by GalaPro and The Library for the Blind offer the hearing and sight impaired the film experience. Playing the Angry Birds game with head movements only, using the Sesame Technology. A path with obstacles that is done in a wheelchair or blind. A virtual reality complex in which participants experienced extreme and challenging sports using virtual reality. 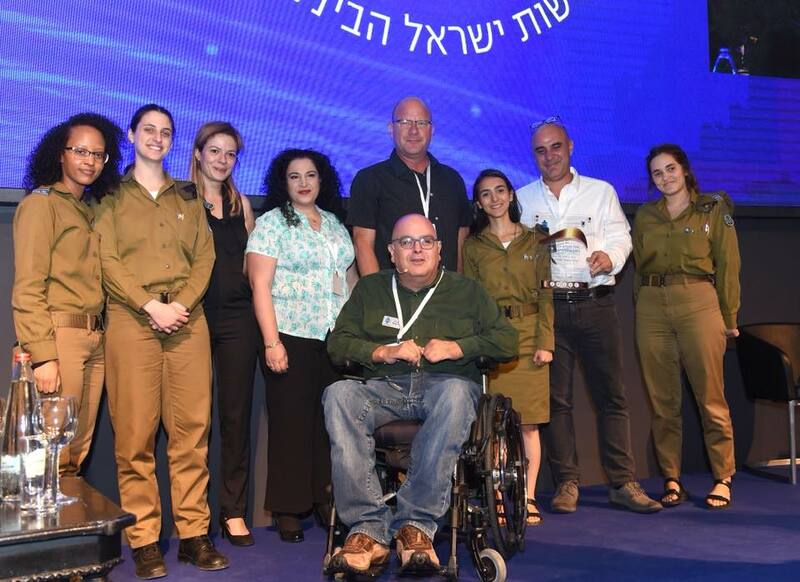 After we realized in "Access Israel" how important the media is in the accessibility revolution, we decided to start a new tradition and to award each year a prize for promoting accessibility in the Israeli media. And the first winner of this prize is the radio show "It Will Be Alright" on GLZ Radio Station. A study was conducted by the company "Yfat" to summarize the media activity in the year of 2017, and the findings revealed that the leading coverage of accessibility in Israel was the program "It will be alright" by Galei Zahal (GLZ). The Simcha Lustig Access Israel Award for exemplary accessibility was given to organizations and to developments of assisting technology. Thanks to the many hundreds who came and participated at the Access Israel 6th Annual Conference. Thank you to the moderator Gilad Adin, the Lustig family, to the lecturers from Israel and abroad, to the friends and dear guests from abroad, to the sponsors, and especially to Hapoalim Bank and Amot, the entrepreneurs, the accessibility providers, the partners, the friends, the amazing and dear producer Assaf Toraz, Leo Burnett, OneBrand, MeHalev, Benovich Productions, Simol, the Frost family, to the amazing team of 'Access Israel' that was recruited for the mission. We will continue to work vigorously to promote accessibility. See you at the Access Israel 7th Annual Conference.